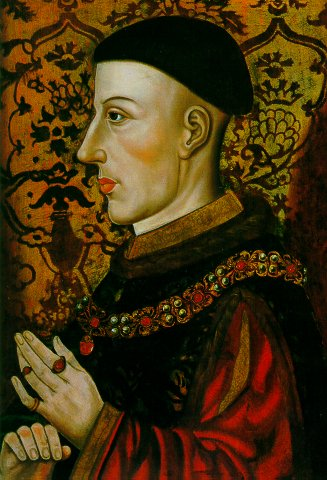 Henry V was the son of Henry IV. He was born in 1388, and succeeded his father to the throne of England in 1413. It is usually said that his dissipated habits while a prince gave his father great uneasiness ; but he frequently displayed noble traits of character, and on ascending the throne he justified the best expectations. France being at the time torn asunder by the opposing factions of the Dukes of Orleans and Burgundy, Henry took the favourable opportunity of reviving the claims of his predecessors upon that country, and he landed with an army at Harfleur, August 14, 1415. With 15,000 men he gained the battle of Agincourt, though the French immensely outnumbered him. He then returned to England; but two years afterwards he went again to France, espoused the Princess Katherine, in 1420, on condition that the French crown should pass to him and his heirs on the death of the King of France, and be inseparably united to the crown of England. While all his great projects appeared to be rapidly advancing towards a successful issue, a painful disease arrested his progress, and he died in 1422, aged 34, and in the 10th year of his reign. 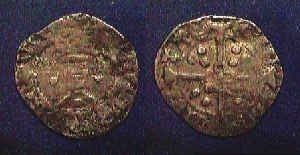 He was succeeded by his sonHenry VI.